Since 1928, Karastan have been manufacturing beautiful area rugs in a huge range of styles and colors. Karastan originally reproduced Persian and oriental style rugs and created a loom which allowed the pile to show through the back of the rug thus mimicking the hand-woven oriental originals. Today, Karastan have extended their range to include a variety of styles and designs as well as broadloom carpet. The Karastan name has endured with beautiful quality rugs that stand the test of time. To test their durability, back in 1933 at the Worlds Fair, Karastan put one of their rugs on display and allowed the public to walk all over it. After more than 5 million people walked over the rug, half of it was cleaned. According to Karastan, the rug still exists with half still showing the stains left by millions of feet and the other half returned to its former glory. Genuine oriental and Persian rugs are a wonderful investment but the time and effort that goes into their creation is reflected in the price and for many is well out of their price range. Karastan Rugs are the perfect alternative that will allow you to create the same effect as a genuine rug but at a fraction of the cost. The Karastan rug mill utilizes chemically stable dyes and high quality worsted wool from New Zealand which gives the rugs their lasting quality. Karastan rugs are custom made to look like traditional antique Persian carpets and their prices are competitive. Vacuum daily in high traffic areas and less often in areas where there is less traffic. Clean spills immediately with water and clear soap using a non-pigmented cloth to absorb any fluid. Use flat plastic discs under heavy furniture to prevent indentations into the rug, which may sever the fibers. If you are thinking about purchasing Persian carpets for your home, you should first stop and make a plan. These beautiful rugs are similar to pieces of art, and you will want to insure that the Persian carpet that you select will best fit into your home’s décor. After all, an area rug—especially one like a Persian carpet—will be the base and focal point of your entire room’s design, so you will want to make sure that you begin your work with a good foundation. If done correctly, a Persian carpet can pull together all of the elements of your room’s design, creating a well-thought out look that complements the rest of your home. You’ll first want to determine what sized Persian carpet you need. You will be faced with many options when purchasing a Persian rug, so it’s best to pull out your tape measure and get an idea of the perfect size before shopping. You can purchase a smaller carpet to act in a small space, such as under a grouping of chairs, or under a coffee table. If you want to cover most of the room’s space, look for a larger rug that will do the trick. In addition to using rugs as a base, you can use a Persian carpet to accent a space as well. For example, use a rug runner for stairs or to cover a well-worn or high traffic area. You can also use smaller Persian carpets to connect spaces, such as short hallways that connect a room with a sitting area. Next, you’ll want to consider the best color for your Persian carpet. Because the very essence of Persian rugs is the rich designs that are woven into them, you’ll need to look for just that perfect combination of color and design. Today’s Persian carpets are available in so many colors and patterns that you’ll likely be faced with some tough decisions! After you have determined the best size and colors for your Persian carpet, it’s time to go shopping! 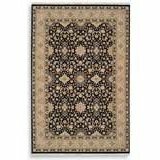 Enhance your decor with a beautifully designed elegant Oriental, Persian or Tibetan rug. 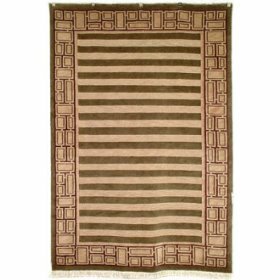 The quality and style of these hand made area rugs makes them a truly beautiful addition to any home. Tibetan rugs are hand woven from wool and silk into a variety of patterns including geometric and abstract designs as well as the more traditional religious symbols of Buddhism. Some of the more popular designs for Tibetan rugs are flowers, trees, tigers and of course mythological dragons which are very popular as they symbolize power and strength. The soft colors of the Tibetan area rug can be used to create a stunning effect in a modern home that has been decorated with modern styled glass and chrome furniture, although a Tibetan rug is equally effective when placed on wooden polished floors where more traditional furniture has been used. Oriental rugs from Asia are available in modern or traditional designs and look spectacular on a polished hardwood floor or tiles. You can purchase beautiful oriental rugs that have been hand knotted in high quality silk or New Zealand wool. Oriental rugs are generally dyed using ancient time tested vegetable dyeing process. Antique oriental rugs are expensive but with the proper care, they will retain their color and last for many years. Hand made classic rugs from Persia add elegance and charm to the home and the beautiful designs will enhance the look of any room. and of course the color and design will play a big part in your decision. 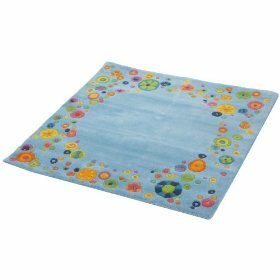 Wool rugs are generally hard wearing, long lasting and resistant to dirt. For this reason, wool rugs are often used in high traffic areas although oriental and Persian wool rugs or rugs with a fine weave are the exception due to their susceptibility to wear and tear. The natural look and feel of wool is in great demand in area rugs. New Zealand wool is considered to be one of the best in the world. Many well known carpet manufacturers weave their area rugs from 100% New Zealand wool. 1. Vacuum regularly to prevent the build up of dust and dirt. Also regularly vacuum under the rug as dirt will fall through the fibers to the flooring underneath. 2. Remove stains immediately. Purchase a carpet stain remover suitable for wool rugs and use as soon as a stain is found. Always spot test on a conspicuous area of the rug before using to ensure the stain remover doesn’t bleach your carpet. 3. Have your wool rug professionally cleaned every six months or as required. Ensure you use a reputable carpet cleaning company.